Minibus combo South Shore Adventure and evening Magical Aurora tour. 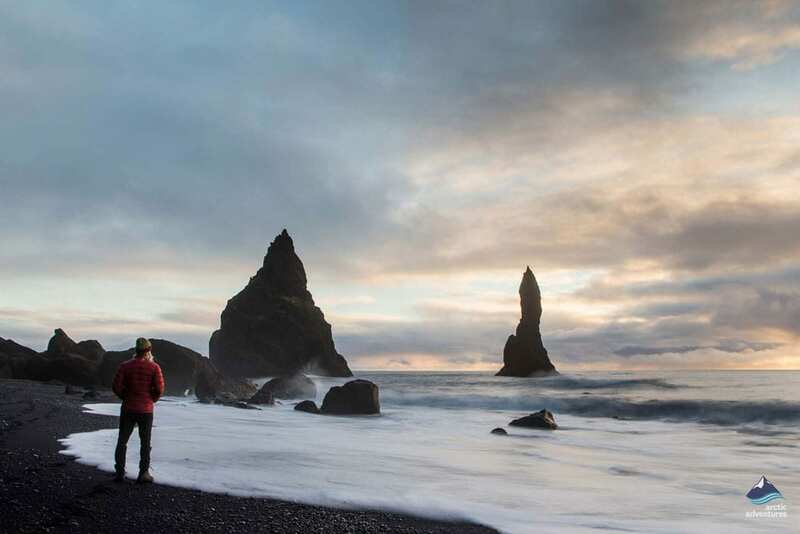 See Seljalandsfoss and Skógafoss Waterfalls, Reynisfjara Black Beach and more south coast highlights. 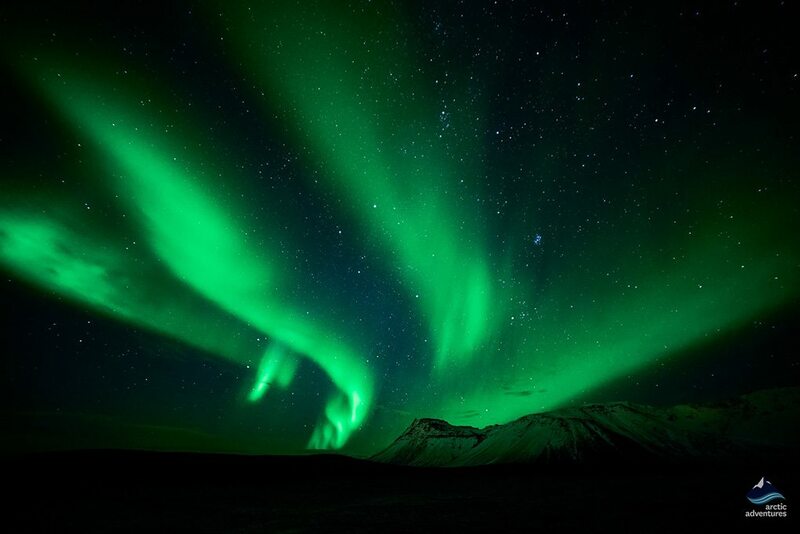 In the evening you are off on an exciting hunt for the jewel colors of the northern lights. 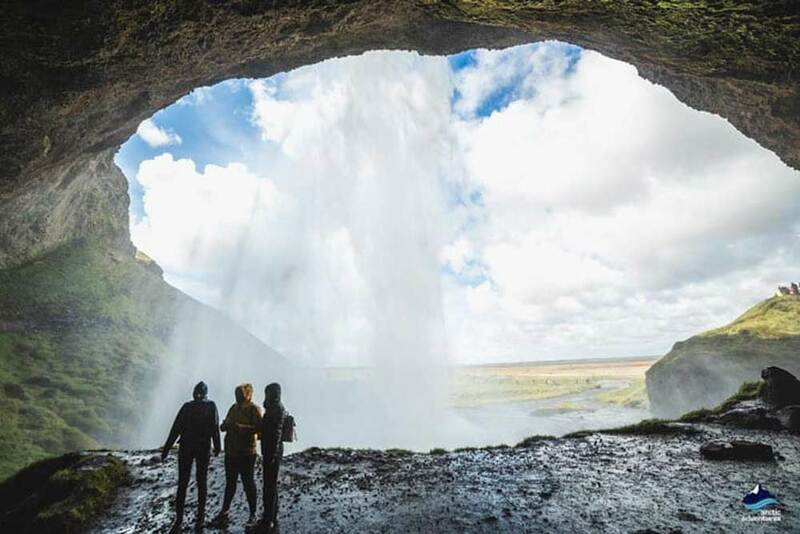 We pick everyone up and head out of Reykjavík, journeying across Hellisheiði, a picturesque heath where clouds of geothermal steam rise from many hot springs. 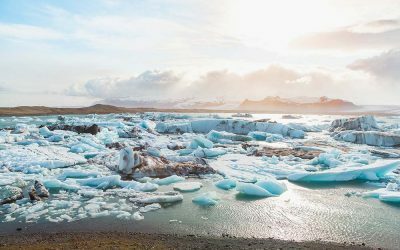 Our first stop is at Sólheimajökull Glacier, a tongue of Mýrdalsjökull, the 4th largest glacier in Iceland and home to the Katla Volcano. 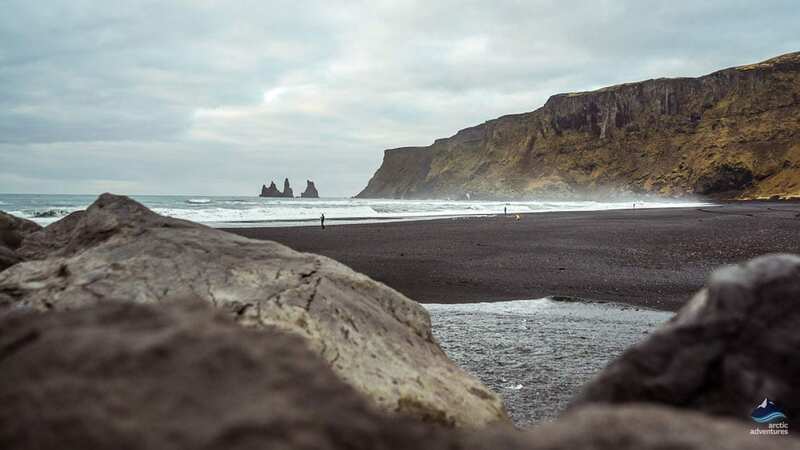 After taking in the Sólheimajökull views we are off to Reynisfjara, the most famous black beach in Iceland. 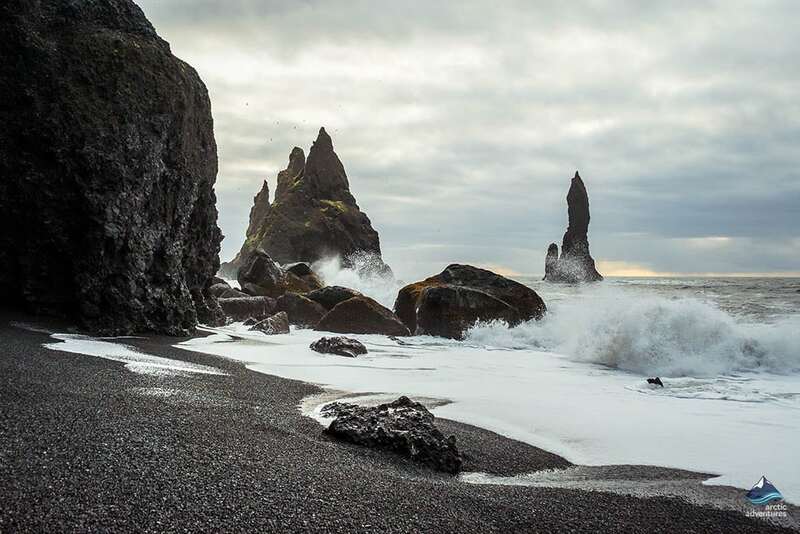 You will see the Reynisdrangar basalt sea stacks standing majestically just off the coast, there is also a magnificent basalt column cave to be explored. One word of caution, stand well back from the fierce Atlantic waves, every so often a ‘sneaker’ wave will roar higher up the beach. Next on the agenda is the southernmost town in Iceland, Vík í Mýrdal. You will see the lovely church on the hill, there is time to take a look around before we begin our journey back to the city. 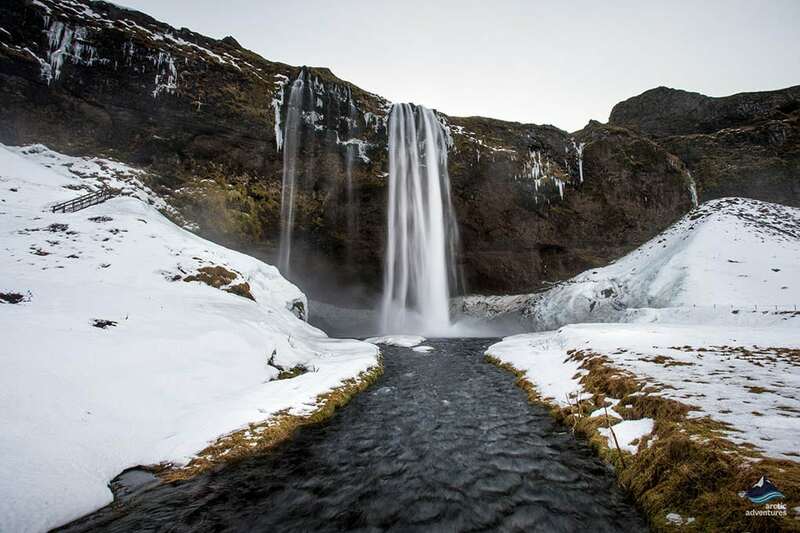 Now for the waterfalls! 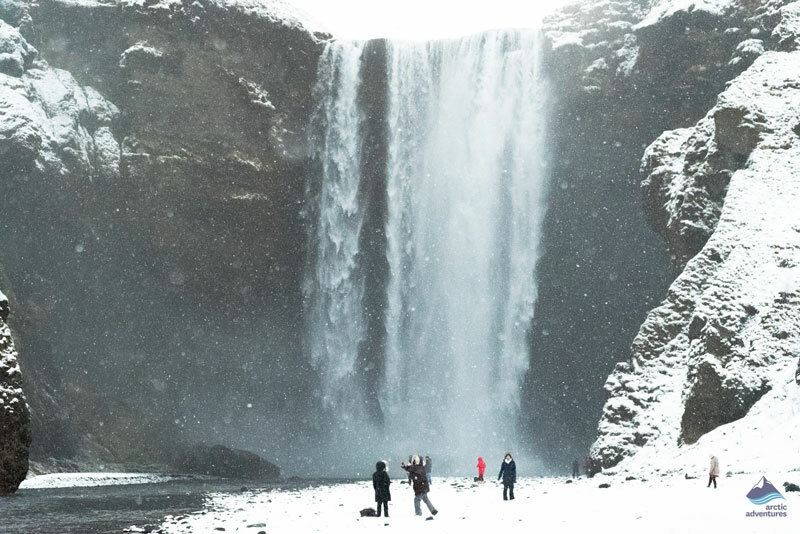 We visit Skógafoss, the 65m high cascade drops from the old sea cliffs. 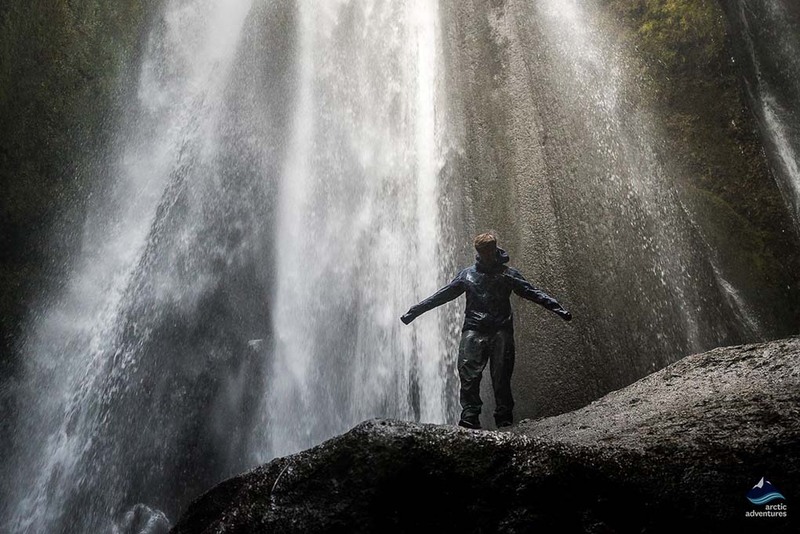 Our last south coast stop is at the very unusual Seljalandsfoss Waterfall, here a pathway will take you behind the tumbling cascade, we recommend you put on your rainwear otherwise you can get fairly wet! You get time to explore and to photograph all of the attractions, we want you to go home with fabulous photos and memories. You are dropped off downtown in Reykjavík, close to cafés and restaurants where you have time to enjoy supper. 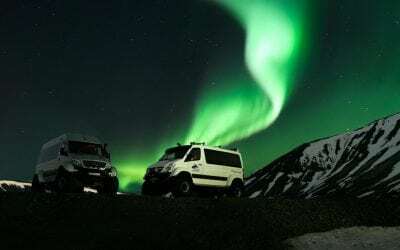 You will be picked up outside your hotel for your northern lights tour at 21:30 pm. 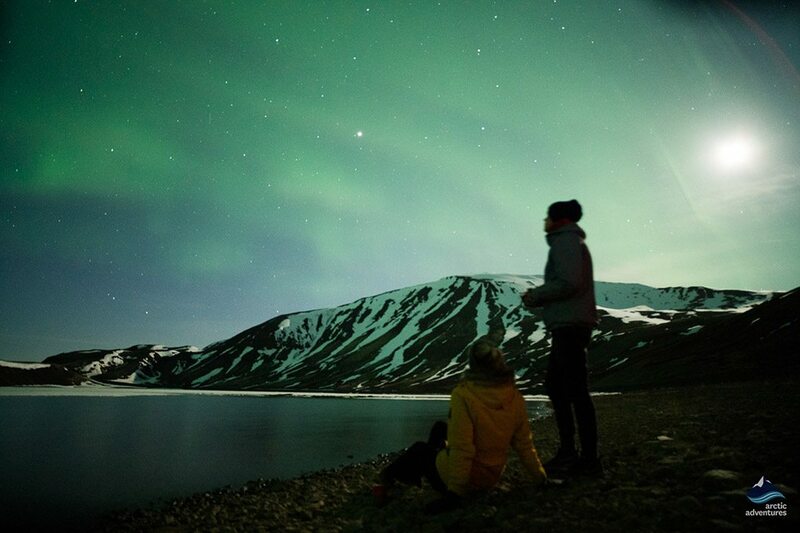 We take you away from the city and into the darkness of the countryside to hunt for the northern lights. 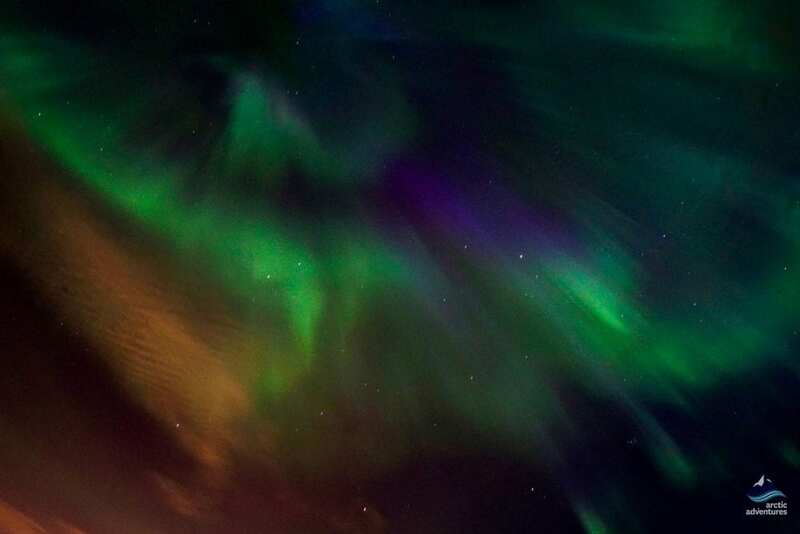 Spotting the aurora is always awe-inspiring and special, sometimes their jewel colors show up as soft glowing ripples, other times they are really majestic swirls opening out kaleidoscopes of radiant color. 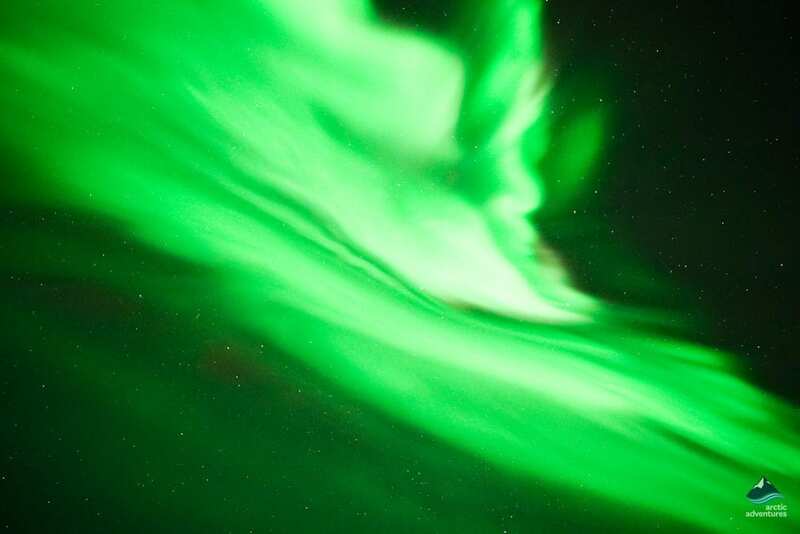 Green northern lights appear most frequently but yellow, white, blue, purple and pink auroras are also often seen. Really red northern lights are quite rare but they occur more often in Iceland than anywhere else. We can never guarantee you will see the lights but try really hard! 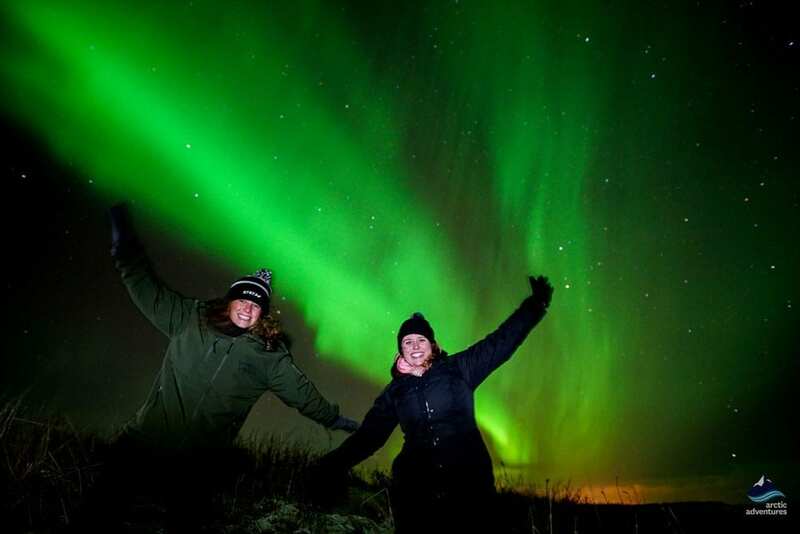 Our guides are always very willing to photograph you with the northern lights. 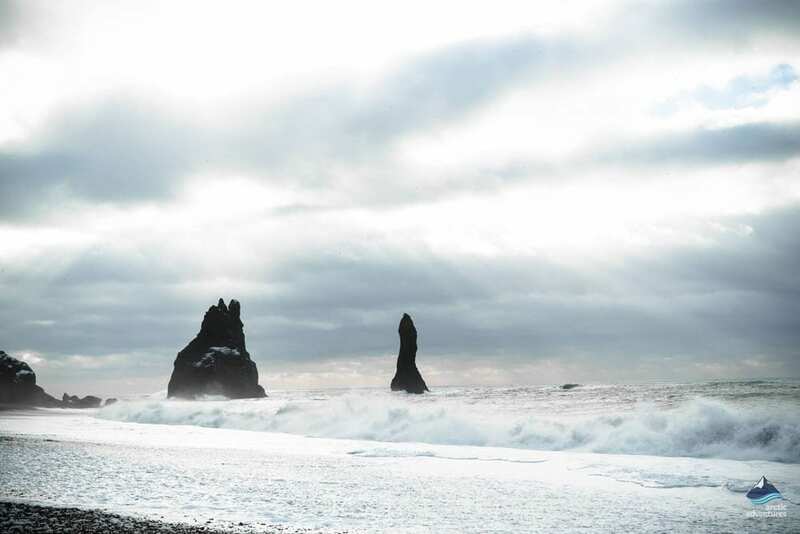 The tour returns to Reykjavík around midnight, you are then dropped off where we picked you up in the morning. 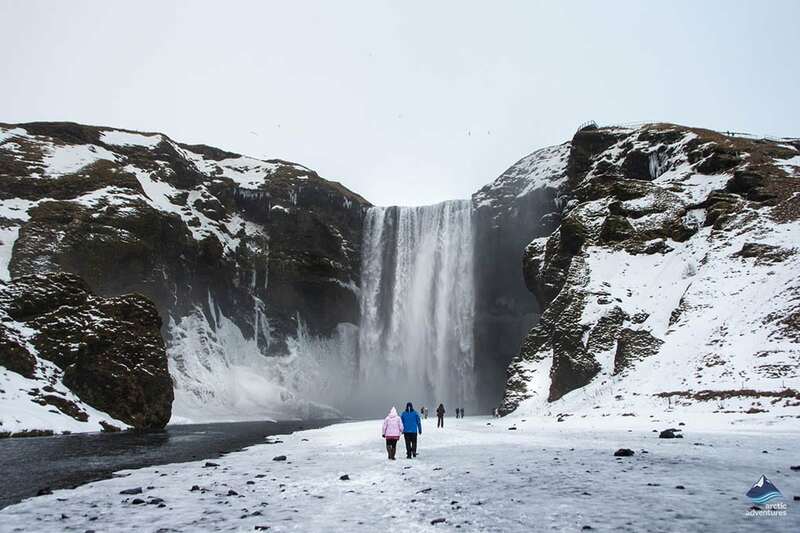 What to bring: Warm layers, waterproof top layer, headwear, gloves, scarves and hiking shoes. 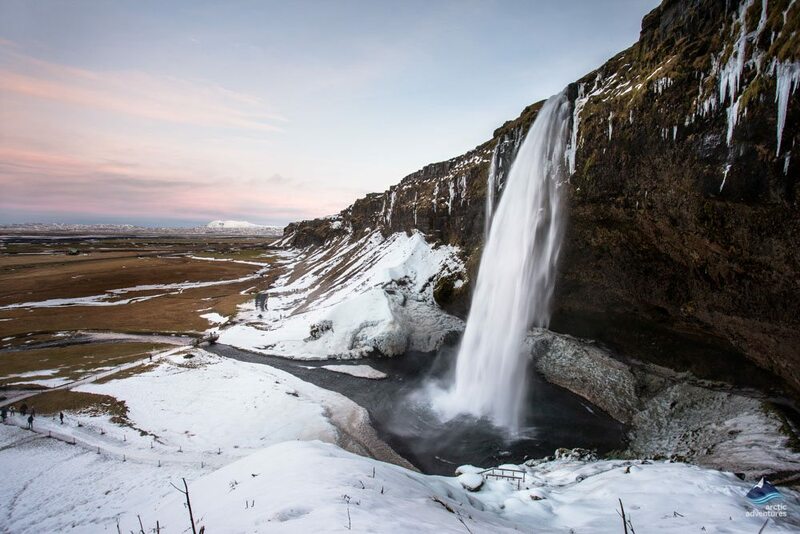 As the success of the northern lights tour is heavily dependent on weather conditions, we reserve the right to cancel the northern lights part of the tour until 18:15 on the day of the tour. 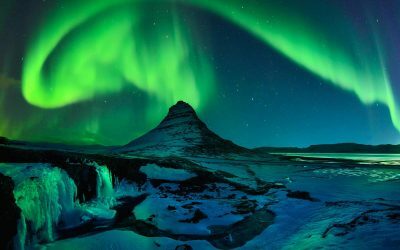 If the tour goes ahead and no northern lights are seen we offer clients the chance to join another evening’s departure free of charge upon availability. Note that you need to contact us to re-book. Meals and beverages are not included in the tour. However, there will be time to get dinner at a café/restaurant in Reykjavík.